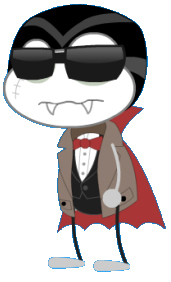 Get the Vampire Boy’s hair and shades. Get the belt gun from Spy Island. Get the cup with the black liquid from the 24 Carrot glitch. Get the zombie mouth and scar from the Haunted House Quest prize. Get the shirt, pants, and jacket from the zombie tuxedo guy from the Haunted House Quest. Get the nose from the witch in the Haunted House. Get the cape, shirt, belt, scythe, and pants from the dark-hooded figure in the Haunted House. Get the hair, mouth, and bolts from the Bride of Frankenstein costume. Get the green skin from doing the Ctrl+Shift+S cheat [or by using the Colorizer]. Zombie eyes, mouth, and face: From the Zombify item by completing Haunted House. 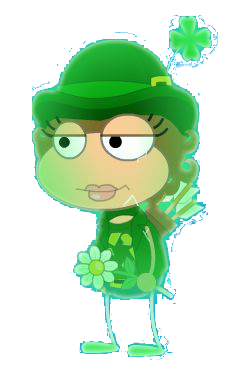 Skin: Turn it purple using the Ctrl+Shift+S cheat, the Colorizer, or the balloons in Poptropica Towers, Early Poptropica. 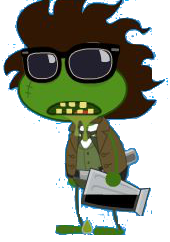 Keep randomizing your Poptropican (Ctrl+Shift+R) until you get one with a shirt that has a skull picture on it that has grey stripes behind the skull. Then go to the Haunted House, go to the monster party, and customize Death’s belt. 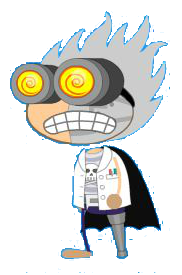 Then go to Super Power Island and customize the scientist’s lab coat. Then go to Mount Olympus on Mythology and customize the guy with the wind bags’s hair. You need the Skull Pirate costume, and customize its peg leg. Then, get the goggles from the Hypnotic costume. Use the customize anything glitch on any friends that have a robot face. But don’t take the eye, just take the other robot part (This is optional, but it makes the costume better). Then go to the Carrot King Diner and make a cup that has black water in it, and then fill it up as much as you can with white without it getting completely white. Then choose your skin color. You can pick any color, but I prefer PD’s skin color. Get the shirt and pants from the Energy Hog card prize. Get the flower and mouth from the Flower Power costume. Get the arrows from the Robin Hood costume. Get the hair/hat and the jacket from the Leprechaun costume. Electrify yourself green from the Electrify card. Sorry, but we don’t own any dummies! 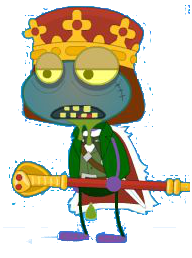 Although, you could try to find items from PoptropiCon or other costumes to make your own! There isn’t a dummy with Zeus beard as far as I know. 1. Get the red dress from the Tinkerbell Ad. It’s quite popular in the common rooms, but if you have trouble finding it, friend cutechristmasgirl and costumize it. 2. Get the jacket, belt, skirt, and bangs from the Pop Star costume in the Store. 3. Get the ponytail from the Biker Girl costume in the Store. You could also just use any other short, ponytail like the one from the barista in Queequeg’s on Back Lot. 4. Get any red lips. 5. *optional* Put on the Little Candy Cane from the Store. This is bulldog with a wp account! Just kidding well you can put it up if you want to. For easter just wear night hare,light and shadow hare or just plain dr.hare(he’s the best choice).